12 O'Clock Track / Music 12 O'Clock Track: Bad Bibles, "Nearsighted"
There are a handful of sites I check to get my fix of guitar-based music that's loud, abrasive, or lo-fi (or all three at once), and Ongakubaka is one of them. 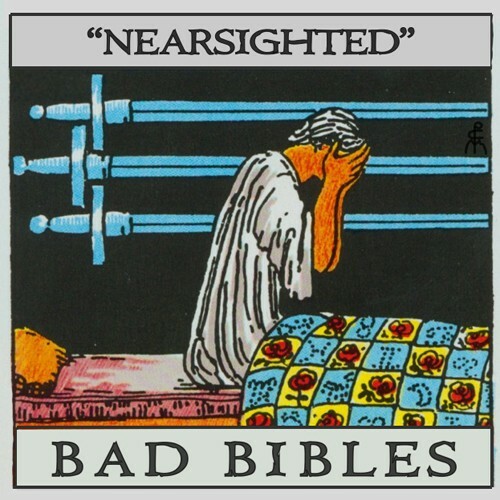 This blog has introduced me to some real treasures—including grunge addicts Milk Music and lo-fi bedroom songwriter Car Seat Headrest—and it recently scored again with postpunk duo Bad Bibles, whose "Nearsighted" is today's 12 O'Clock Track. "Nearsighted" sustains its propulsive power from the first note to the last, beginning with a sharp guitar scratch that approximates the sound of fingernails on a chalkboard and ending with a creepy "ooh-ooh-ooh" chorus. Stream it below and grab it for free from Bandcamp.